Through the power of positive example we stimulate creativity, innovation and further activities. Our main goal is to promote a positive image of Roma communities and culture, and to repudiate racism and prejudice and strengthen social inclusion. Our main objective is to inspire an intercultural dialogue, cooperation and solidarity across Europe, with an emphasis on public engagement to promote positive attitudes and effective cross-national challenges. The greatest challenges for Roma inclusion in broader sense are de-stigmatization practices, strategies, policies, programs, and projects. The utmost importance we see in positive promotion of achievements of Roma people in various fields of life of society and highlight importance of social cohesion of a society through the creation of an European platform for presenting positive contributions in favour of Roma ethnic group. Through the ERSA we highlight individual and organizational activities which focus on Roma minority integration and recognize individuals and organizations whose daily works actively participate in improving the situation of Roma nationally and internationally. The presentation and rewarding of positive contributions benefitting the Roma ethnic group highlights individual and organizational activities, which focus on Roma minority integration from an international perspective. It also brings public recognition and empowerment for individuals and organizations, and recognizes individuals who actively participate in improving the situation of Roma nationally and internationally. Above all, through positive examples and Roma “role models” we empower marginalized population to take the responsibility into their hands – for themselves and the community. 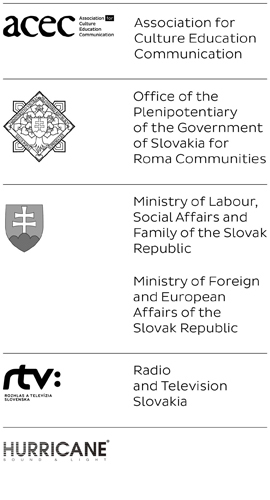 The ERSA creates space for inter – cultural dialogue that significantly contributes to the elimination of any form of intolerance or discrimination and helps to create beneficial partnerships to support mutual learning, encourage active participation and foster cooperation between state authorities, NGOs, private and public sector at local up to EU level. Developing social multi-level dialogue and cooperation among institutions, nations, organizations and individuals in the European public space should reinforce and stimulate discussion and encourage participants for the common activities, develop networks and create an international engagement to work together to ensure maximum impact of cross–national and cross-sectorial cooperation. Fostering cooperation and collaboration, on national and European level, will attract and spread the positive messages through a number of media release´s propositions and improve the way the media present Roma in many countries. Sharing of knowledge in a positive form may actively contribute to overall improvement – inspire and get inspired. We aim to establish tradition and to build the international acceptance of the ERSA Award as an appreciation of work in favour of Roma community with direct involvement of those who actively participate in the solution of Roma issue with a great influence on the public opinion.